Is that a box? Well... no. Not really. 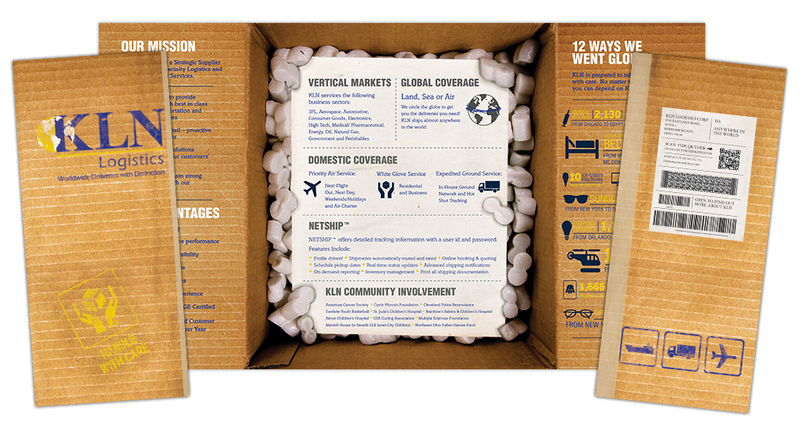 For KLN's new print campaign, we really wanted to get the message across, so instead of just sending the recipient a typical tri-fold brochure, we thought: "Hey. Everybody loves getting a package." So, we created a brochure that really looks like a box, complete with packing peanuts inside that frame the main service information. 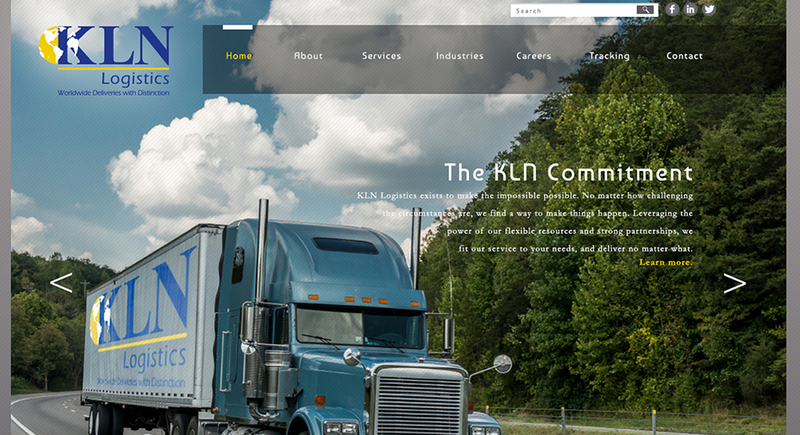 In addition to the print campaign, we have totally refreshed the KLN Logistics website. 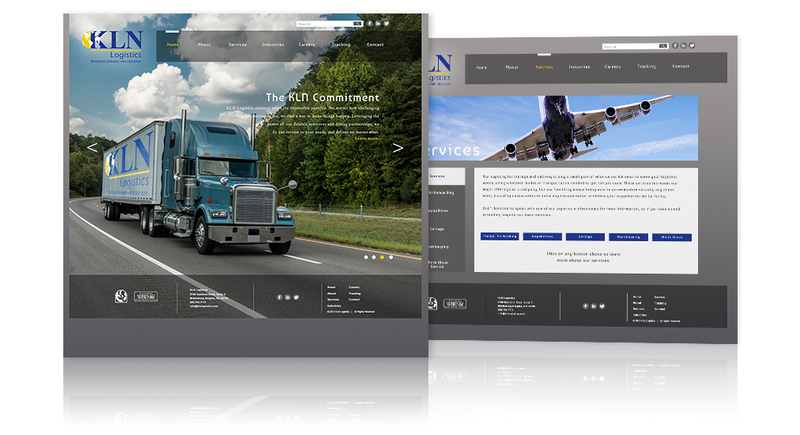 Big, attention-grabbing visuals rotate in the entire background of the home page, advertising the ground, air, and sea services of the company.